Sea turtle nesting season opens today (May 1) and runs through Oct. 31. CLEARWATER -Beachgoers and those who live along Pinellas beaches need to be watchful for sea turtles and their nests over the next six months. Sea turtle nesting season begins today (May 1) and ends Oct. 31. 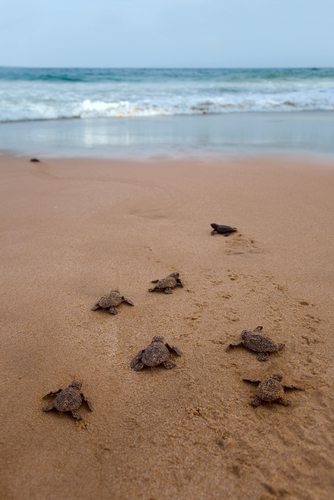 Newly hatched turtles find their way to the sea by following the natural light reflected by the water. Young turtles have a small amount of energy that must take them to the water, which under natural conditions is the brightest spot on the nighttime beach. If they disorient and head the wrong way, they may starve to death before landing in the floating sargassum weeds that are their food source. Take all personal belongings from the beach at the end of the day so no obstacles exist on the way to the water. Flatten sand castles and fill in holes. Pick up and properly dispose of litter on the beach. Stay off the dunes and use the designated walkovers for crossing. Shield any artificial lighting that might shine toward the beach. 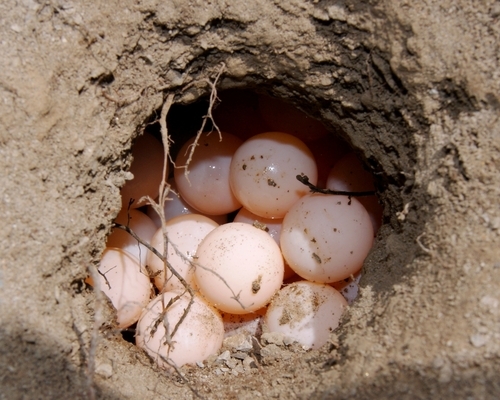 The Tampa Bay area averages about 120 nests each season, and each nest can contain an average of about 100 eggs. If you are lucky enough to find a turtle nest on the beach, don’t disturb it. If the nest is unmarked, notify the Clearwater Marine Aquarium at (727) 441-1790. For information about the Clearwater Marine Aquarium, go to seewinter.com.